We bring forth for our clients precisely engineered range of Auto Coating Machine, which is offered at industry leading price. Outstanding performance, long working life, and easy to use controls have made these machines a suitable choice for textile industry. 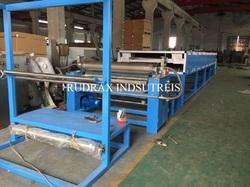 Keeping in mind diverse requirements of this industry, we offer these machines in various specifications. We are offering Auto Coating Textile Machinery, which are easy to maintain and use surface finishing coating technique. Simple to operate, these machines give excellent performance even under harsh working conditions. 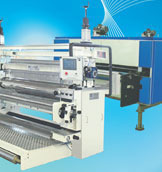 Further, we make sure that these machines are manufactured in accordance with defined industry standards.